The story continues: Louise let go of the French fries, the milkshakes, the cheese, the lettuce, the tomato, the mayo and the burger and lived happily ever after with the one thing that gave her warmth, nourishment, and deep sense of her self. 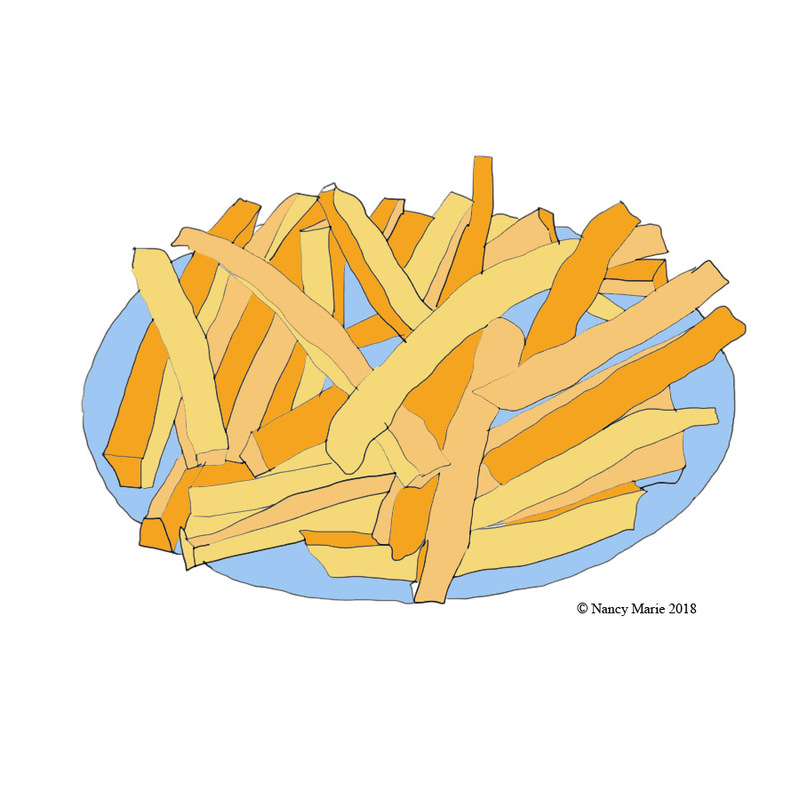 With this in mind, I invite you to explore some of the FREE ICWIB art activities and videos, because they are a wonderful way to help you go of the ‘French fries’ and ‘milkshakes’ in your life. Imagine for a moment how different the world would be if every man, woman, and child in the world was able to learn how to use the ICWIB activities to let go of what they no longer needed and create a more meaningful life. Maybe together we can make this change happen!